Background The NHS in the UK supports pharmacists’ deployment into general practices. This article reports on the implementation and impact of the Primary Care Pharmacy Programme (PCPP). The programme is a care delivery model that was undertaken at scale across a city in which community pharmacists (CPs) were matched with general practices and performed clinical duties for one half-day per week. Aim To investigate (a) challenges of integration of CPs in general practices, and (b) the perceived impact on care delivery and community pharmacy practice. Design & setting This mixed-methods study was conducted with CPs, community pharmacy employers (CPEs), scheme commissioners (SCs), and patients in Sheffield. Method Semi-structured interviews (n = 22) took place with CPs (n = 12), CPEs (n = 2), SCs (n = 3), and patients (n = 5). A cross-sectional survey of PCPP pharmacists (n = 47, 66%) was also used. A descriptive analysis of patient feedback forms was undertaken and a database of pharmacist activities was created. Results Eighty-six of 88 practices deployed a pharmacist. Although community pharmacy contracting and backfill arrangements were sometimes complicated, timely deployment was achieved. Development of closer relationships appeared to facilitate extension of initially agreed roles, including transition from ‘backroom’ to patient-facing clinical work. CPs gained understanding of GP processes and patients’ primary care pathway, allowing them to follow up work at the community pharmacy in a more timely way, positively impacting on patients' and healthcare professionals’ perceived delivery of care. Conclusion The PCPP scheme was the first of its kind to achieve almost universal uptake by GPs throughout a large city. 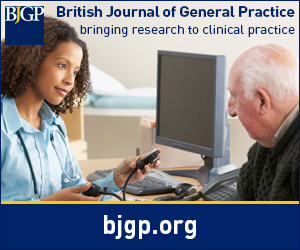 The study findings reveal the potential for CP–GP joint-working in increasing perceived positive care delivery and reducing fragmented care, and can inform future implementation at scale and at practice level.